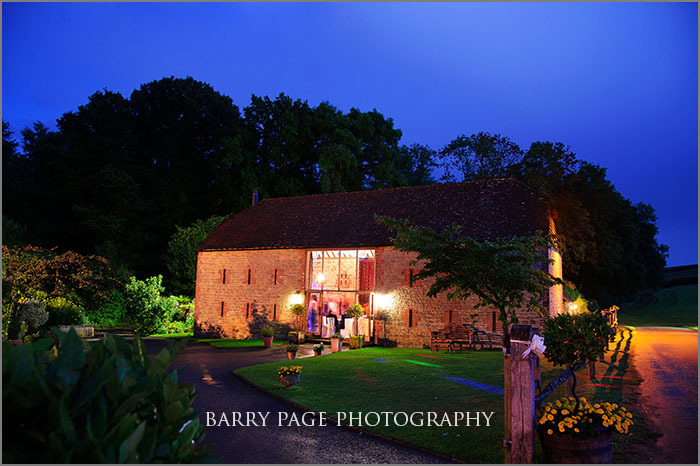 I’m really fortunate, as a professional Sussex wedding photographer, to experience a host of amazing wedding venues in Sussex as part of my job. 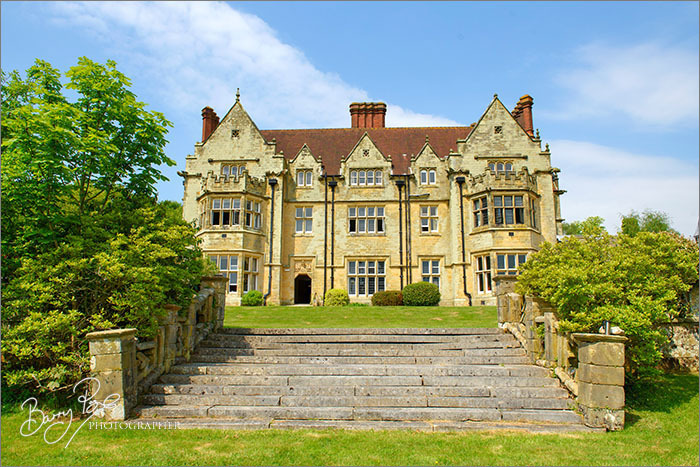 It means I get to explore some of the most beautiful and often quirky buildings, from romantic castles to splendid hotels, rustic converted barns to trendy seafront bandstands and ancient historic manor houses. 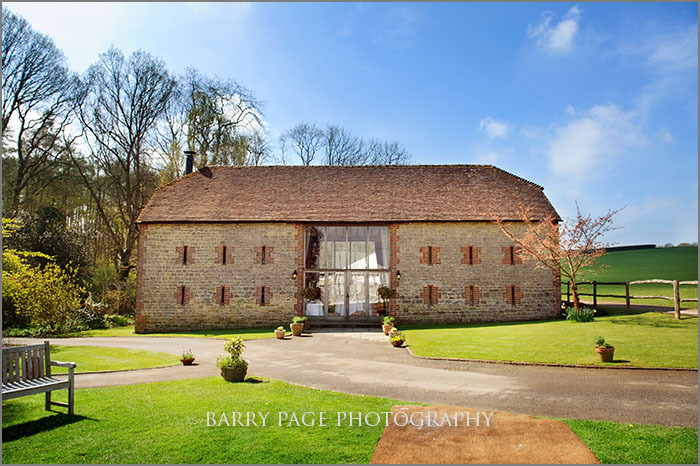 This time I’m featuring the gorgeous Bartholomew Barn, a stunning renovated and restored rustic farm building a mere stone’s throw from the pretty little villages of Wisborough Green and and Kirdford, both in leafy West Sussex. The barn itself is carefully restored to its former glory in warm, mellow old stone with red brick detailing. But the interior is an exercise in contemporary cool and comfort. And there’s a wonderfully tranquil vibe: light, airy and welcoming. It’s obviously a building with a warm heart, having sat here for centuries gently mellowing in the sunshine, the snow, the rain, the wind, quietly watching as time and history flow by. Call me an old romantic if you like, but it really is a very lovely place. 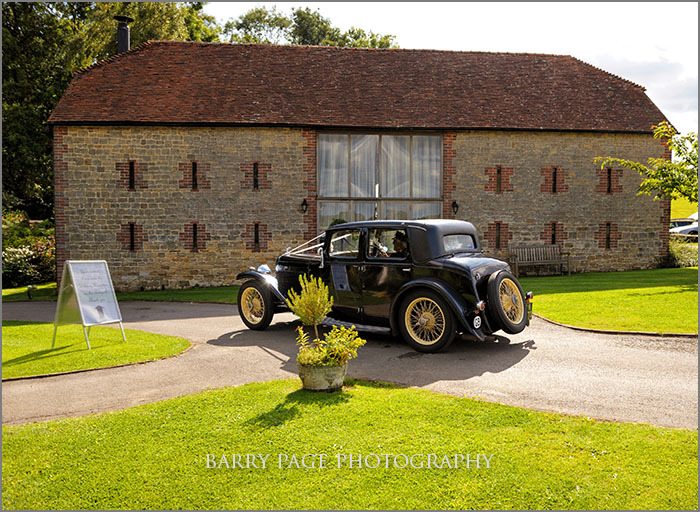 The barn is perfect for wedding receptions whatever the time of year, offering luscious Sussex countryside views through massive glass doors on both sides – rich farmland, deep woodland, bluebell-studded woods in spring and beautifully manicured fields all year round. There’s wildlife everywhere too, birds singing and butterflies flutttering. 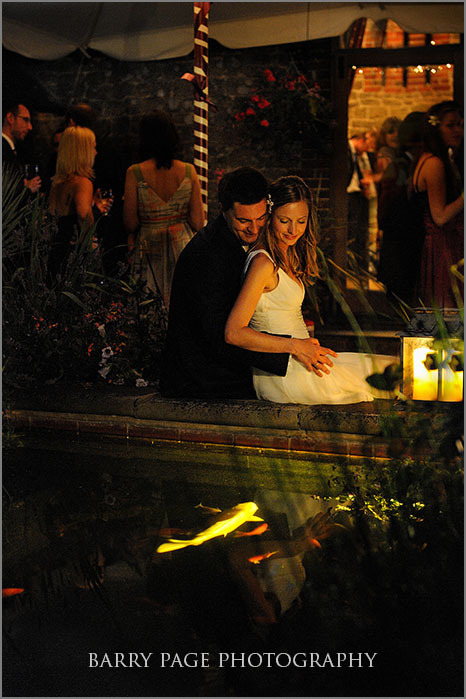 And there’s a wonderful surprise round the back in the shape of a gorgeous flower-filled, Mediterranean-style courtyard. Sleepy, romantic, idyllic… and spacious! This really is an idyllic setting, romance personified, sleepy and scenic. 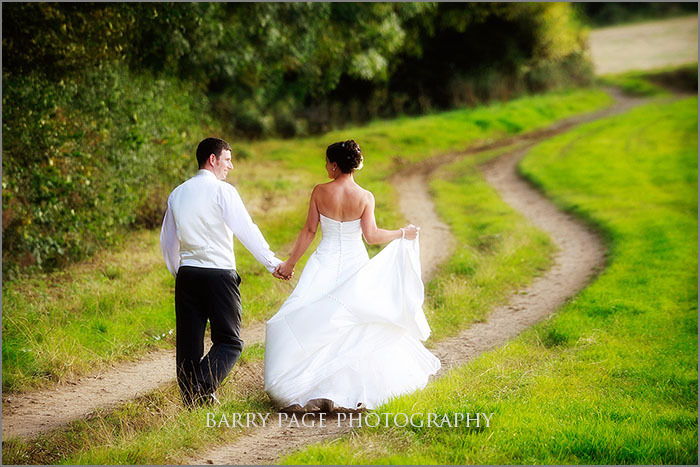 The drive to the barn, down a secret country lane, only adds to the feeling of secrecy and seclusion, making your day even more special. Seating as many as 110 guests, the barn is nice and roomy. If there are more of you, it’s easy to extend the space with a smart marquee. If there are fewer of you that’s fine, too. They’ll give you an equally warm welcome. 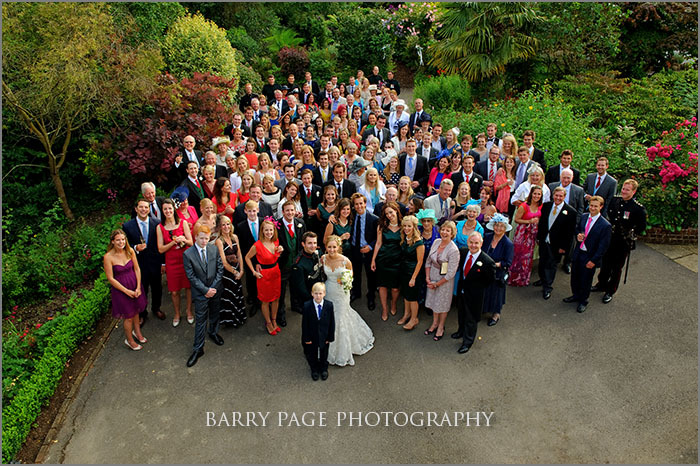 Whether you’re planning an intimate or grand celebration, the owner Frances is a genuinely friendly person whose charm, patience and kindness go a long way towards sealing this super Sussex wedding venue’s reputation as one to remember. She owns the place, lucky thing, and her relaxed yet efficient style is obviously much appreciated by the happy couples whose wedding days I capture for posterity. 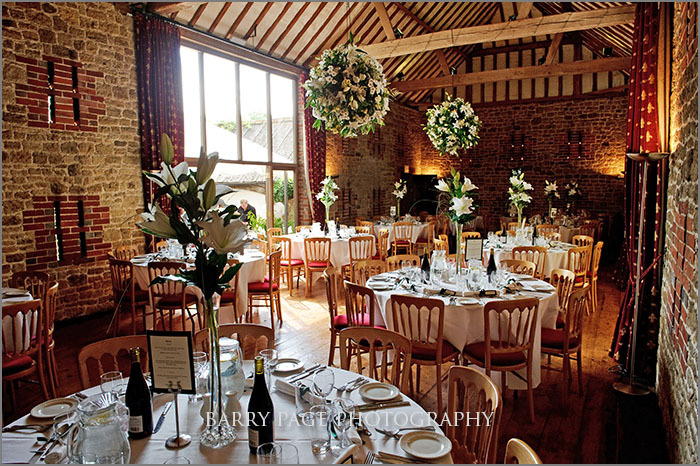 The setting is absolutely glorious in spring and summer, lushly green, and in winter the barn takes on a whole new personality, a super-cosy space complete with a roaring wood fire, tea lights and heavy curtains firmly shut. Heavenly! Then there’s the Potting Shed, available on the day for the bride and groom to get changed in, the perfect private space to freshen up. As potting sheds go, it’s a real beauty. 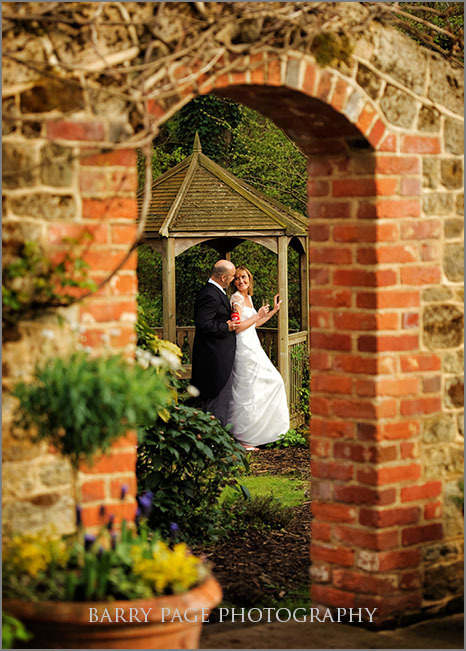 The courtyard itself is the ideal setting for drinks, perfect for people to mingle while I take your wedding photos in the extensive gardens and around the pretty gazebo. 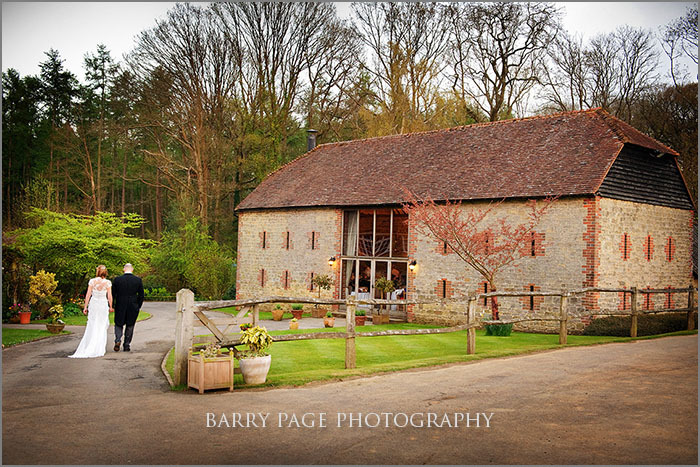 If you’re looking for a top wedding venue in Sussex, why not add Bartholomew Barn to your shortlist? 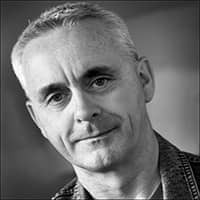 You can arrange a visit to see for yourself by filling in a simple webform, here. 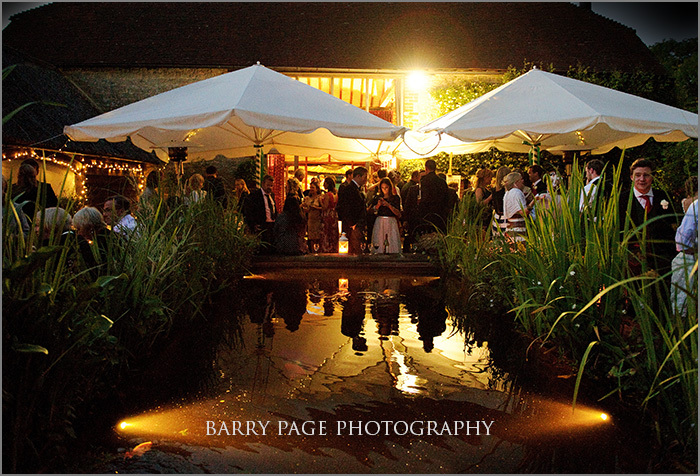 You can also explore more blog posts about the many top wedding venues in Sussex that I’m familiar with. 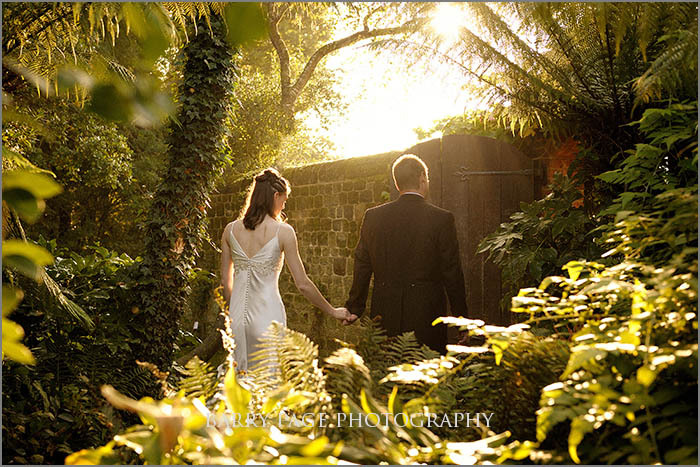 And if you’re searching for professional, friendly, discreet and highly creative wedding photography in Sussex, I’m your man.